Kathleen McGlinchey (née Higgins) The Mall, Sligo and late of “Wembley Cottage”, Rosses Point, Co. Sligo. Peacefully at Nazareth Nursing Home, Sligo. Reposing at Feehily’s Funeral Home, Cartron Cross, Sligo from 10am on Monday. Removal at 11am to St. Columba’s Church, Rosses Point arriving for Mass of the Resurrection at 11.30am. Burial follows in Rosses Point Cemetery. Home private please. Catherine Sheeran, Stonepark, Mountcharles, Co. Donegal. Peacefully at her residence. Remains reposing at her late residence. Removal from there on Monday morning going to the Church of the Sacred Heart, Mountcharles for 11am funeral mass, with burial afterwards in the adjoining churchyard. House private to family only please. Thomas (Tommy) Gilmartin, Teesan, Sligo and formerly of Church Hill Sligo. Peacefully at The James Connolly Hospital, Dublin. Reposing at The Foley & McGowan funeral home, Market yard on Tuesday evening from 5pm until 6.30pm. Funeral will arrive at Sligo Cathedral on Wednesday afternoon for funeral mass at 12.30pm. 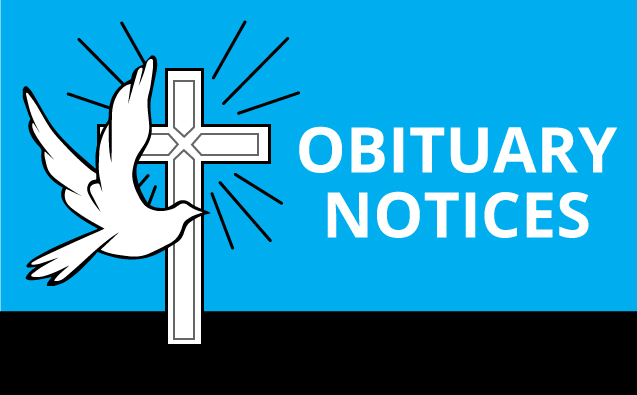 Cremation service will take place in Mount Jerome Crematorium, Harold`s Cross on Thursday at 2.30pm Approx. Vera Sheerin, nee (Mc Shea), Bundoran and Ballyshannon, Co. Donegal. Peacefully at Sligo University Hospital. Funeral Arrangements Later. Enquiries to Conlan & Breslin Funeral Directors, Bundoran, on 0879670448. Marion Gregg, nee Cornett Drumcrow West, Roscor, Belleek, Co. Fermanagh. Peacefully at her residence. Remains reposing at her residence on Monday from 3pm to 9pm and on Tuesday from 3pm to 9pm. House private at all other times. Remains will arrive in Garrison Parish Church on Wednesday for 12 noon Funeral Service followed by private cremation. Family flowers only; donations in lieu if desired to Friends of Cancer Belfast City Hospital c/o any family member or Peter Carty Funeral Director Garrison Co Fermanagh BT93 4BY. Margaret Kelly, Nee Farren, Gortinarren, Culdaff, Inishowen, Co. Donegal. Sister of Liam Farren of Donegal Town. Margarets remains are reposing at her home. 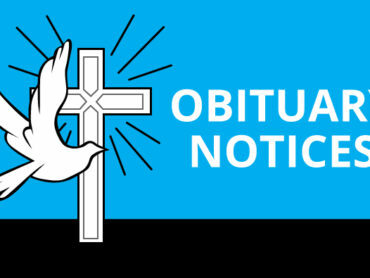 Funeral on Tuesday at 11am in St. Patricks Church, Aughaclay, Malin, with burial in the adjoining cemetery.